Tofi Stoler and Adi Pick : 2019-04-12T09:43:38..
After counting the last 235,000 votes cast, Israel’s Central Elections Committee announced Thursday the final results of the country’s general election, held Tuesday. The additional votes are known as “double envelopes,” cast by people who are unable to reach their registered voting place. These include diplomats and state workers stationed outside of Israel, who voted late last month, police, navy, and military personnel on active duty, inpatients and medical personnel in hospitals, incarcerated prisoners, and persons with disabilities. The Israeli election process is non-direct, with voters casting a single ballot ticket for a political party of their choice. In Tuesday’s election, 39 parties competed over the support of 6.33 million eligible voters. The electoral threshold stands at 3.25% of all valid votes, meaning parties in the current campaign had to receive at least 139,744 votes to win some of the 120 seats of the Israeli parliament, also known as the Knesset. According to Israeli election law, the total number of valid votes is divided into 120 “mandates” to determine the number of votes that equal a single seat in parliament — 42,999 for the 2019 election. Once the results are in and the number of mandates is determined, the president has to appoint as prime minister the candidate that manages to secure the support of a majority of at least 61 of the newly elected members of parliament, from any party. 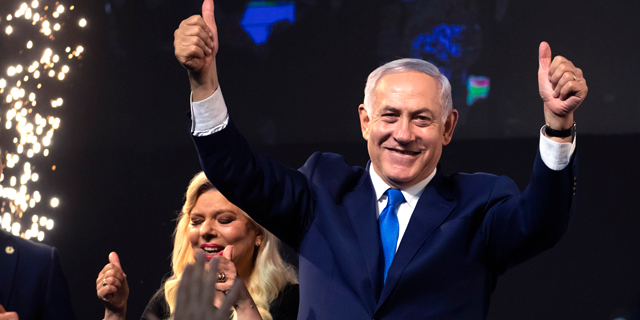 The final results, including the “double envelopes,” give ruling right-wing party Likud led by Prime Minister Benjamin Netanyahu an extra seat, leaving it with 36 seats overall. This shift pushes Likud ahead of its leading opponent, the centrist Blue and White party led by former chief of staff of the Israeli military Benny Gantz, which remained at 35 seats. All right-wing and ultra-Orthodox (Haredi) parties, amounting to a total of 29 seats, have already announced their support of Netanyahu for a fifth term, securing him a coalition. Netanyahu is currently facing possible indictment for several counts of bribery, fraud, and breach of trust. His electoral win is considered by many a public vote of confidence in his innocence, and may affect his prospects in an upcoming hearing as the country’s attorney general might be less inclined to indict a recently re-elected prime minister. The additions to the Likud party came at the expense of Haredi right-leaning party union United Torah Judaism (UTJ), which dropped to seven seats. 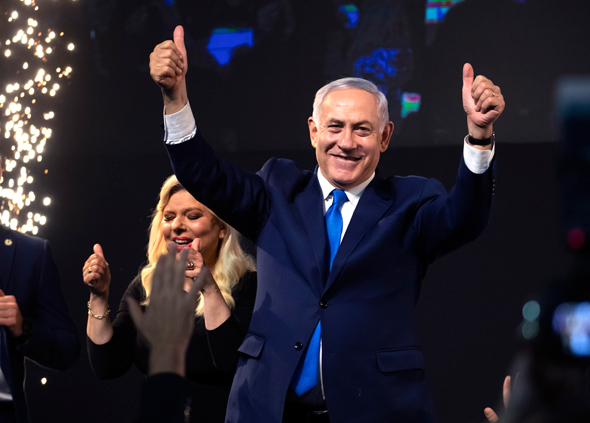 While UTJ may have dipped, Netanyahu remains bolstered by other right-wing, religious parties, including the Union of Right-Wing Parties (URWP). Formed in February following pressure from Netanyahu to strengthen his right-wing base, URWP is a list composed of religious party The Jewish Home and ultra-nationalist party Otzma Yehudit (Hebrew for “Jewish Power”). Netanyahu promised The Jewish Home two key ministries in exchange for joining forces with Otzma Yehudit. Prior to the union, Otzma Yehudit—which is associated with the teachings of Meir Kahane, whose political movement Kach is considered a terrorist organization by Israel, the European Union, the U.S., Canada, and Japan—was unlikely to reach the electoral threshold. Last month, Israel's Supreme Court disqualified Michael Ben-Ari, the leader of Otzma Yehudit who ranked fifth among URWP’s list, from running, but allowed his party’s other candidates to stay in the race. However, Otzma Yehudit’s next candidate Itamar Ben-Gvir, who was ranked seventh on the list, did not make the cut. The largest American Israel lobby, the American Israel Public Affairs Committee (AIPAC), condemned Netanyahu for the merger at the time, calling Otzma Yehudit’s views “reprehensible.” The condemnation did not stop AIPAC from naming Netanyahu a key speaker at its 2019 annual conference in Washington, D.C., just one day later. One party that counted on the “double envelopes” to give it a final push for entering the Knesset was The New Right, established by Education Minister Naftali Bennett and Justice Minister Ayelet Shaked after their departure from The Jewish Home party in 2018. Even after gaining additional votes, the party missed a mere 1,461 votes to reach the required electoral threshold. The New Right’s campaign focused on Shaked’s ongoing efforts to limit the power of Israel’s Supreme Court and on Bennet’s plan to annex large areas of the West Bank. Responding to common criticism of its policies, the party created several humoristic videos that circled social media in the weeks leading up to the election. In one such video, Shaked advertises a perfume called “Fascism,” concluding the video by saying “it sure smells like democracy to me.” In another, Bennet is seen at Tel Aviv’s Rabin Square—named after Israeli Prime Minister Yitzhak Rabin, who was assassinated there at a peace rally in 1995—choke-holding and reprimanding a white dove for its soft “left-wing” approach to the peace process. While the right-wing parties managed to maintain the number of seats held by their side of the political map in the previous Knesset, most left-wing parties have shrunk by at least several mandates, since many of their potential voters flocked to Blue and White due to its promises of a possible regime change. Perhaps the biggest hit was to the Israeli Labor Party, headed by Avi Gabbay, a former CEO of Israel’s largest telecom Bezeq. Historically, the Labor governed Israel for its first thirty years of existence and was the political home of most of its former prime ministers, including David Ben Gurion, Golda Meir, Rabin, Shimon Peres, and Ehud Barak. Netanyahu’s rule for over a decade and the emergence of newly formed political actors has seen the Labor shrink from a potential governing party to its smallest size ever, of six seats. Blue and White, which consistently presents itself as a centrist party, has often been criticized for its vague campaign, flouting the military careers of some of its candidates while failing to present a clear political agenda. The party’s candidate list is mostly composed of former generals and right-wing politicians and activists. Second on the list is former Minister of Finance Yair Lapid, who previously headed centrist party Yesh Atid. Compared to the previous term, the new Knesset will have less representation for Arab-led parties, with 10 seats instead of 13. The decline can be partially attributed to a relatively low voting rate among Israel’s Arab minority, which constitutes about 20% of Israel’s population. Just 46% of eligible Arab voters turned up in the polls, according to a Facebook post published one hour before polls closed on Tuesday by Arab Jewish socialist party Hadash, which ran in a joint list with Arab party Ta’al. In the 2015 election, when all four Arab-led parties, Hadash, Ta’al, Muslim religious party Ra’am, and secular left wing-party Balad ran as a single list, over 63% of the Arab population voted. In the current election, Hadash-Ta’al and Ra’am-Balad received six and four seats, respectively. On Tuesday, voters in predominantly Arab towns and villages complained on social media that Likud representatives were filming voters entering the polls in a possible attempt to intimidate them into not taking part in the electoral process. On Wednesday, Kazler Inbar Ltd., a PR agency based in Israeli West Bank settlement Shiloh, posted a Facebook post claiming responsibility for the move, calling the drop in the voting rate among Arabs “one of the most significant achievements of the right-wing block.” Kazler Inbar also mentioned that the “secret campaign” was held in tight collaboration with Prime Minister Netanyahu. In another attempt to lower the voting rate among the country’s Arab minority, Netanyahu’s Likud petitioned the Central Elections Committee on Monday against a crowdfunding campaign—organized by Israeli non-profit organization Zazim—intended to raise money for private transit to and from the polls for Bedouin voters residing in unrecognised villages that are not connected to the country’s public transportation system. Likud’s petition was denied by the committee on Tuesday. The 21 Knesset will also likely see significantly less women—just 28 of the 120 parliament members, compared with 37 in the previous term. However, this Knesset will see the first female Druze representative, Gadeer Mreeh, from Blue and White. While less women may be present, the 21 Knesset will break a new record for the amount of LGBTQ members, with five, one each representing the Likud party and the Labour party, and three from Blue and White. Results may vary slightly in the upcoming days depending on predetermined agreements between various parties concerning the allocation of excess votes.